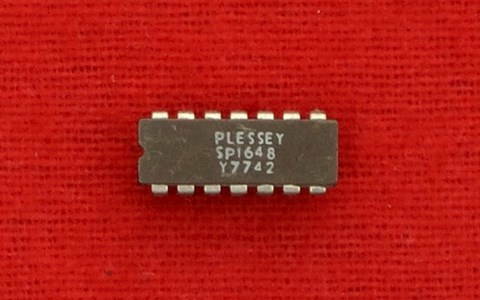 The SP1648 is an emitter-coupled oscillator, constructed on a single monolithic silicon chip. Output levels are compatible with ECL III logic levels. The oscillator requires an external parallel tank circuit consisting of an inductor (L) and a capacitor (C). A varactor diode may be incorporated into the tank circuit to provide a voltage variable input for the oscillator (VCO). The device may also be used in phase locked loops and many other applications requiring a fixed or variable frequency clock source of high spectral purity. When operating the oscillator in the voltage controlled mode (Figure 4), it should be noted that the cathode of the varactor diode (D) should be biased at least "2" VBE above VEE (≈1.4V for positive supply operation). The SP1648 may be operated from a +5.0Vdc supply or a –5.2VDC supply, depending upon system requirements. 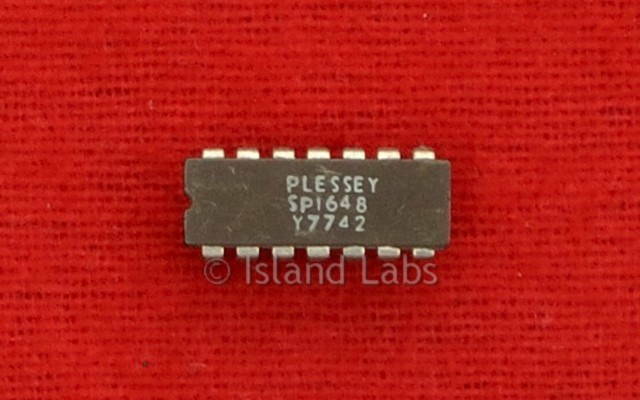 NOTE: The SP1648 is NOT useable as a crystal oscillator.